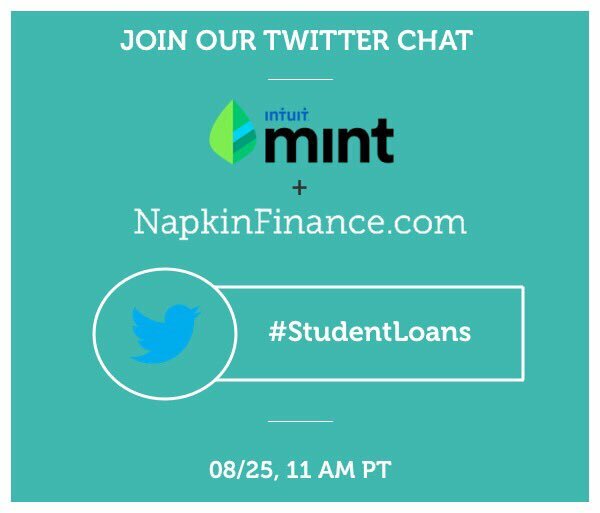 Napkin Finance joined Mint.com in a live twitter chat discussing Student Loans! August 25th @11am PT! #StudentLoans.